As your source for quality Illinois Crane Products, we are offering you a selection of the finest material handling products available today. Illinois Creans are engineered and manufactured with the end user in mind. They are the product of dedicated designers and engineers who combine experience and creative thinking to custom develop a crane or crane system that truly fits your application. Choose from gantry or jib styles, single or double girder, top running, or under-hung configurations, each a product of exceptional crane technology and components. Importantly each installation we sell is backed by our outstanding support group for maintenance, service, and parts. Each is covered by one of the finest product warranties offered in the industry. Finally, all Illinois Crane products are affordable! We are fully aware of the importance of competitive price. Let us design the crane that meets your requirements…heavy or light-duty applications and fabricate it to fit your specifications perfectly. 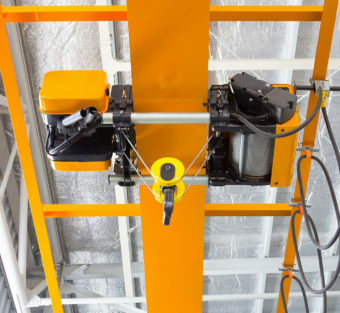 Illinois Crane offers many options for updating controls on your material handling equipment. 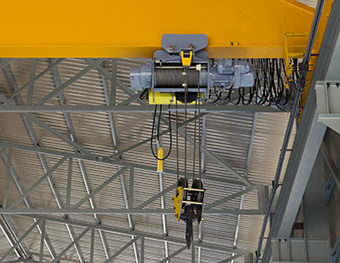 When older controls wear out from continuous use… when changing manufacturing processes require new functions… when controls are regularly updated as part of an ongoing preventive maintenance program, Illinois Crane has numerous choices for its customers! 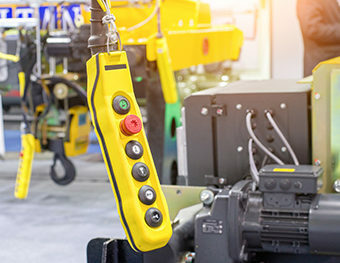 Whether you are wishing to make only a small alteration to the controls on your material handling equipment, OR if you need a complete overhaul and want to replace outdated controls with entirely new control panels, Illinois Crane can help!